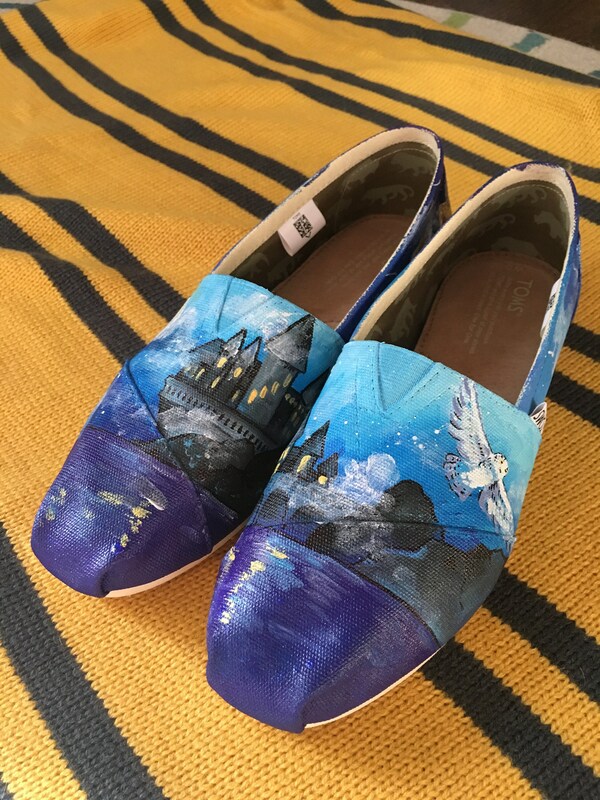 These Harry Potter inspired Toms are made to order and handpainted by the shop owner. 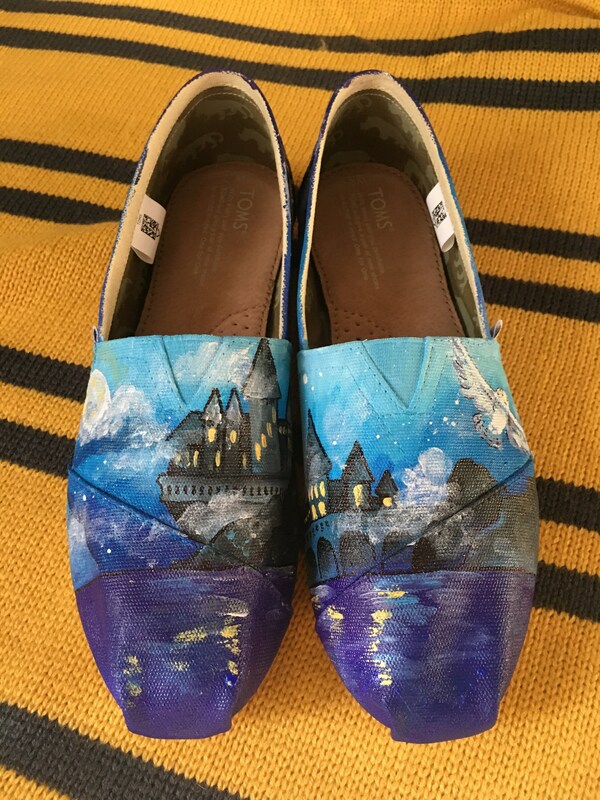 They are an interpretation of the Harry Potter scenes. 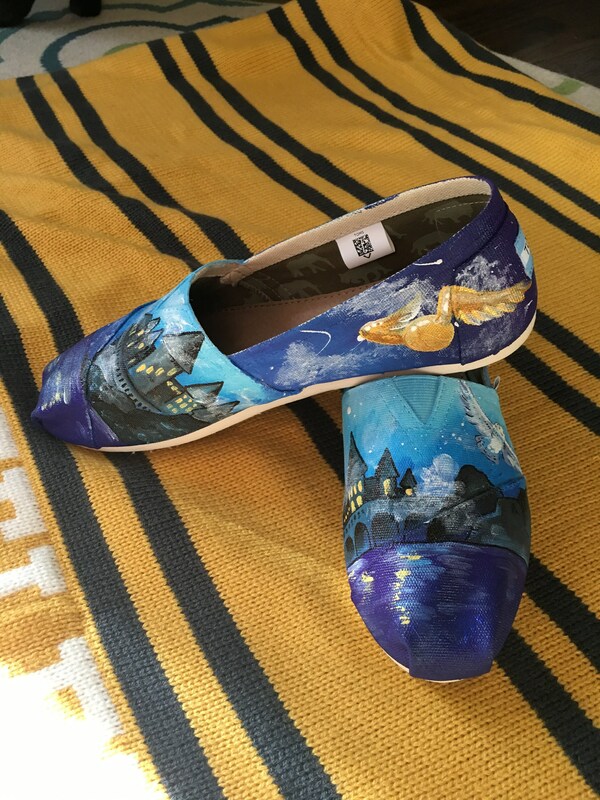 In your order notes please write in your Toms sizing and any information the artist will need. 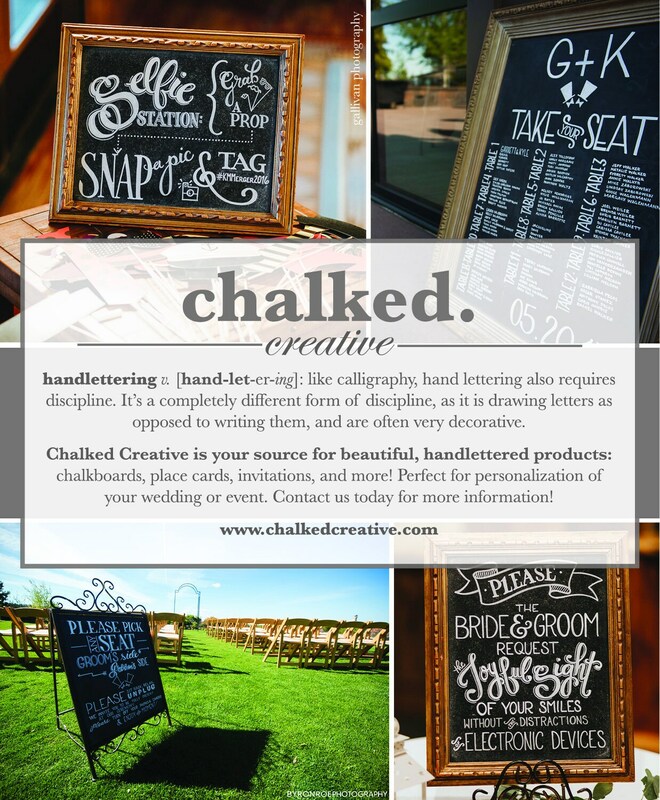 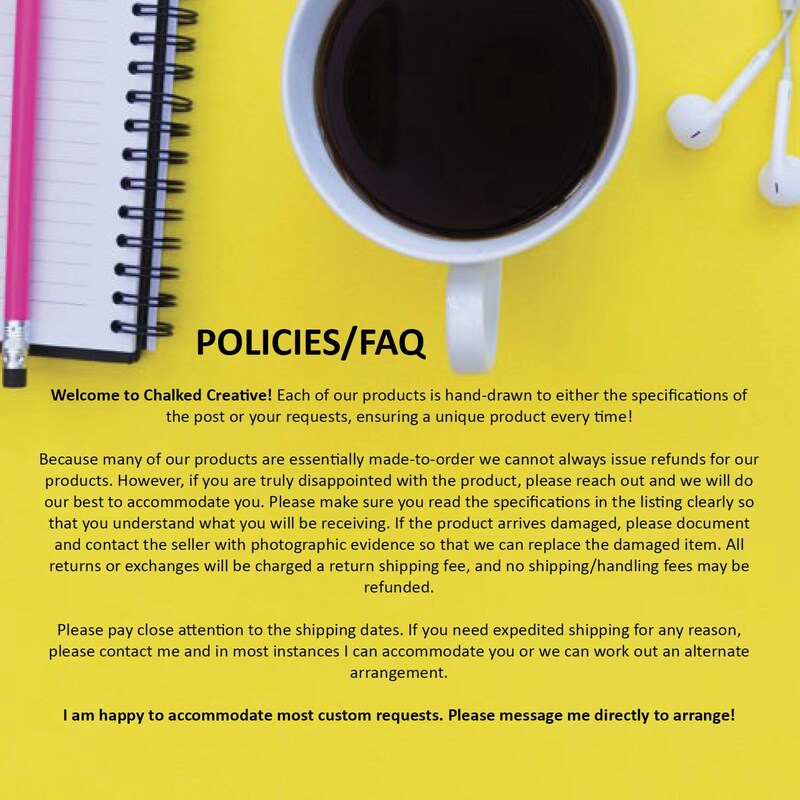 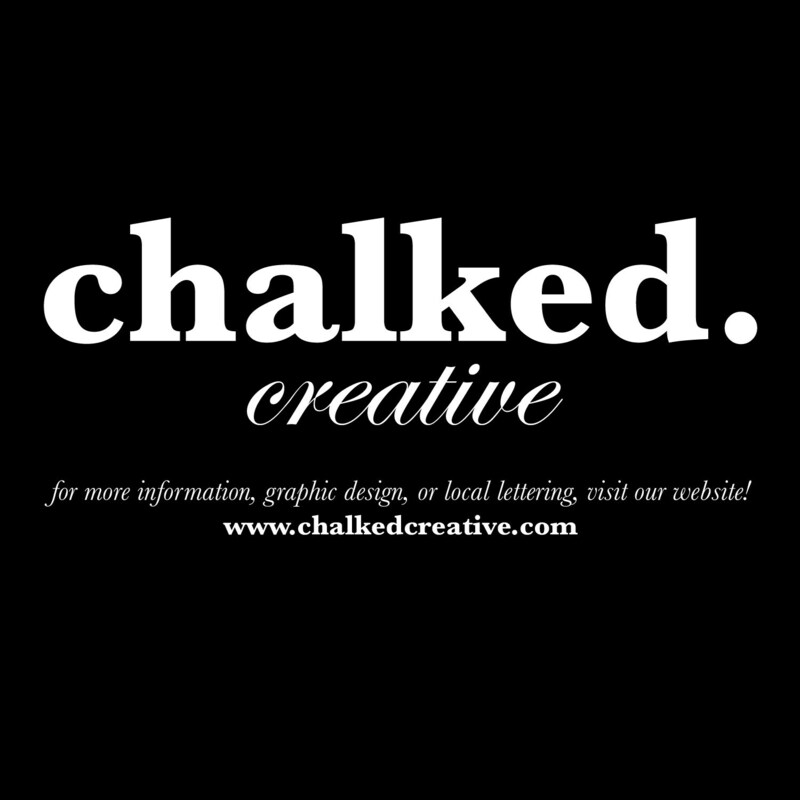 All items are made to order and take 1-2 weeks to be made.